Aside from the whole embargo breaking situation revolving the 8th generation desktop CPUs, Intel also launched their most high-end desktop chips to date including the flagship Core i7-7980XE with 18 cores. Finally, the time has come when enthusiasts can purchase the higher end 18, 16 and 14 core, Core-X processors that were announced back in June. 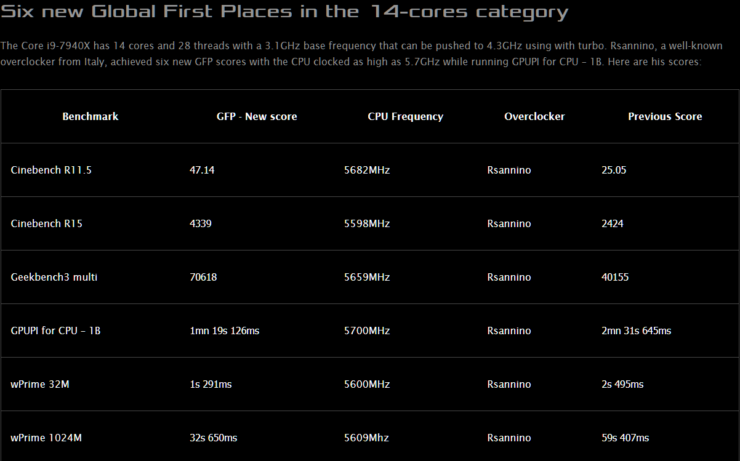 These include the flagship Core i9-7980XE, Core i9 7960X and the Core i9-7940X. All three processors are compatible with current X299 motherboards and to show their potential, overclockers have already taken these chips to extreme heights. There are several world records already broken by these chips which we will be detailing along with the review roundup. So before doing that, let’s take a quick recap of the specifications. Bit-Tech Intel Core i9-7980XE Some X299? So the first performance feat is probably the most impressive. Intel’s flagship Core i9-7980XE was overclocked by Der8auer on LN2 on an ASUS Rampage VI Apex motherboard. 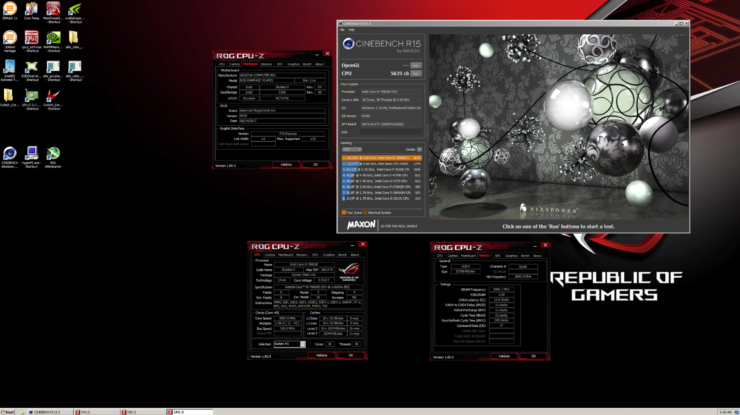 The chip had all of its 18 cores and 36 threads overclocked to 6.1 GHz with 1.55V. That was the maximum frequency achieved with all cores enabled but the processor wasn’t stable enough at such high clocks and the power requirement jumped the 1 kilowatt mark. 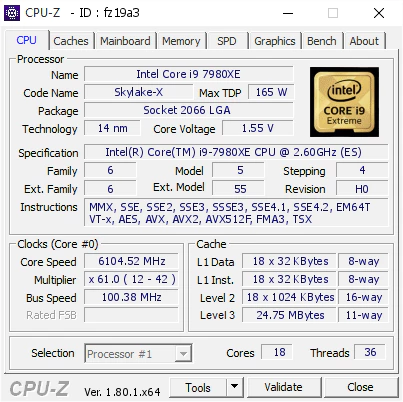 Following are the benchmark feats achieved on the Core i7-7980XE and the Core i9-7940X using the ASUS Rampage VI Apex motherboard. The general conclusion for the Core i9 18, 16 and 14 core processors is that sure they are a best for heavy multi-thread and multi application workloads but they come at a cost. 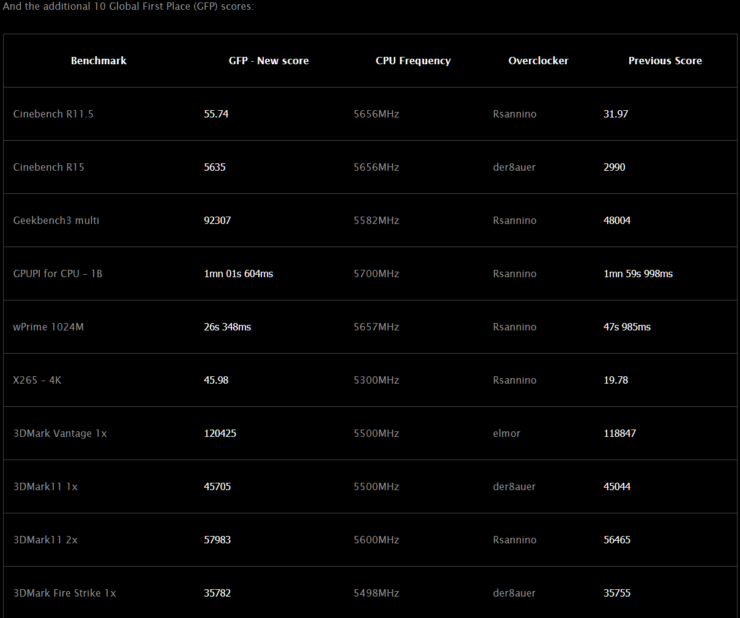 The $2000 US Core i9-7980XE is the fastest chip on the planet but it’s costly and is very power hungry. You also need to tame these beasts with the very best cooling solutions. So overall, if you are planning to go for the very best, you should also expect to be paying a much more premium price compared to the over all competition.